Yes indeed you read that title correctly, a dole whip recipe! We all know that deep down we get that feeling and urge where all we want is to have a dole whip while we take in the magical life at Disney. Well now we can get those feelings at home with this easy recipe! These ever so popular cups of frozen pineapple sorbet can now be ordered alone or as a float. 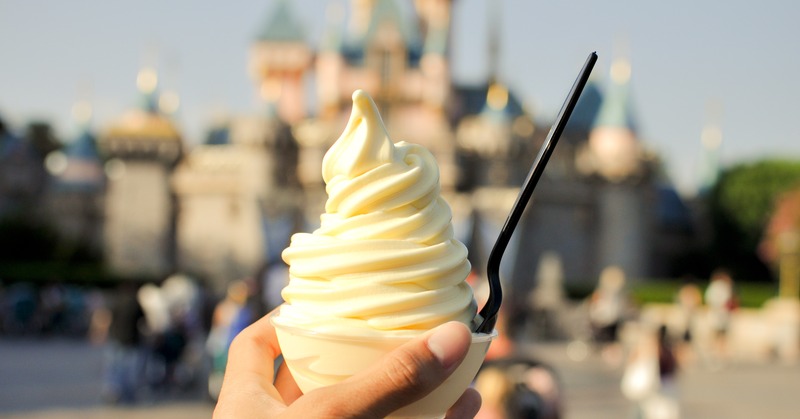 Dole whips are so popular that an average of 1.3 million are purchased each year at Disney Parks and Resorts, 600,000 being purchased at Disneyland alone. It’s safe to say, there’s always a line a mile long for these delicious frozen treats. But they are worth every second of the wait! Drain pineapple; reserve 2 tablespoons juice. Set aside. Blend the pineapple, lemon juice, sugar and reserved pineapple juice until it is smooth. Freeze for 1 to 2 hours. Stir the pineapple slush into the whipped cream and freeze. Serve when completely frozen.